城北カップ 2015.12.26 城北小学校 ● 2-5 スワ 準優勝!! 鴨居杯 2015.12.19 旧光洋小学校 ○ 3-1 リバーFC 優勝!! 2014.10.18 ﾘｰﾌｽﾀｼﾞｱﾑ ● 0-1 ｽﾜ･馬堀･ﾋﾖｺ 準優勝!! 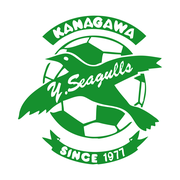 Copyright © NPO YOKOSUKA SEAGULLS SPORTS CLUB All Rights Reserved.